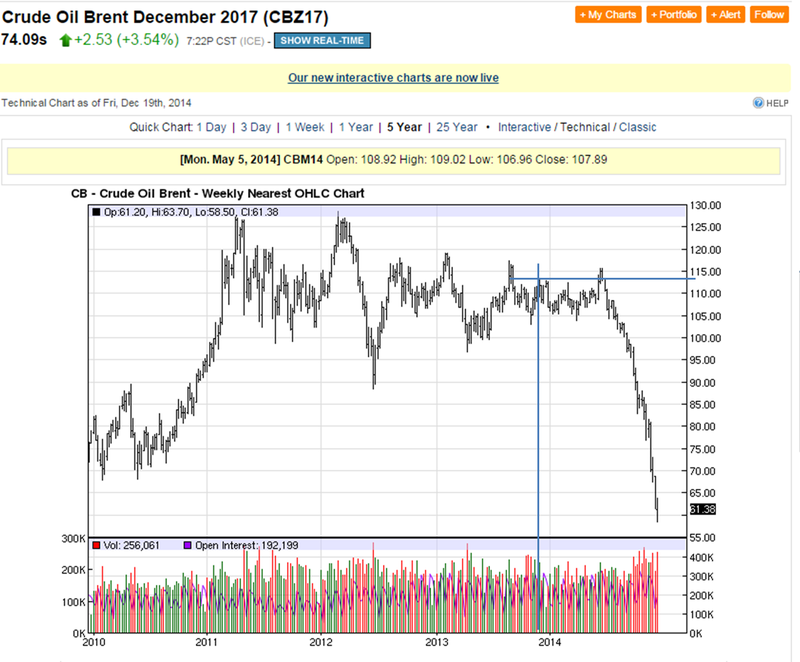 chokka blog: Oil & Gas: Will We Ever Learn? 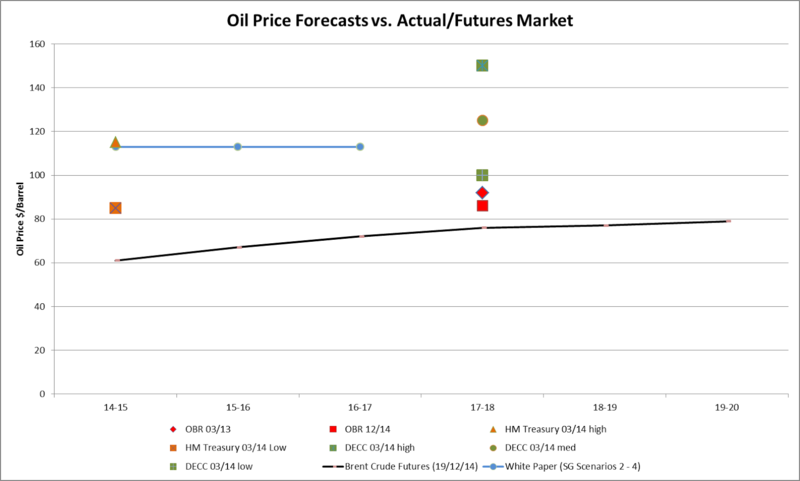 On a detail point, oil futures prices do not reflect the market's expectation of the price in the future. They are the price now for delivery in the future. "Anonymous" 2: please read some of the many posts on this blog about GERS stats. They are summarised at the foot of This article. Your point is completely irrelevant to this post and incorrect when considering the GERS figures which have been used consistently throughout this blog and the debate. The GERS figures allocate all relevant revenues to Scotland (as per Scottish Government's methodology and including geographic (=90%) share of oil to Scotland). Similarly corporate tax is allocated based on activity not hq (an estimate, HMRC estimate Scotland's share at £1bn less that SG). On that basis - before the dramatic oil slump - Scotland runs a similar (worse last year) deficit/cap as rest of UK. 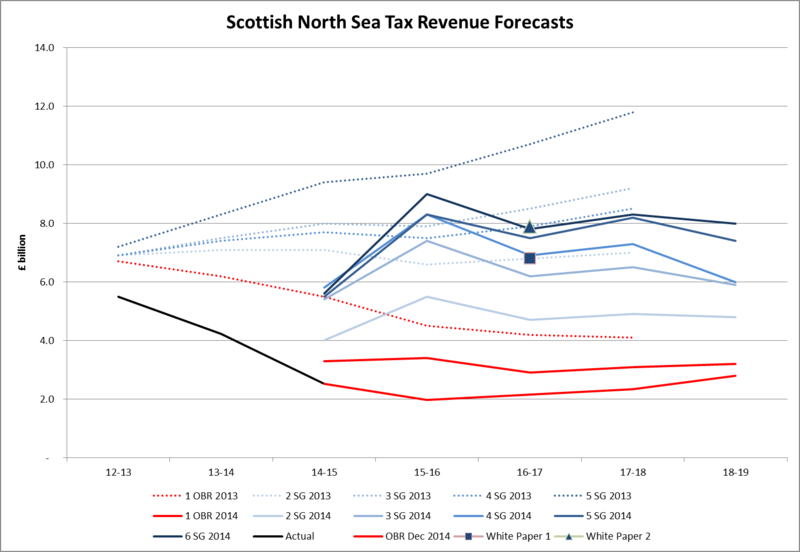 Tee White Paper extrapolated those figures to 2017 using the forecasts described in this post (relying on the 90% coming to Scotland to try and create an economic case which even then didn't stack up.